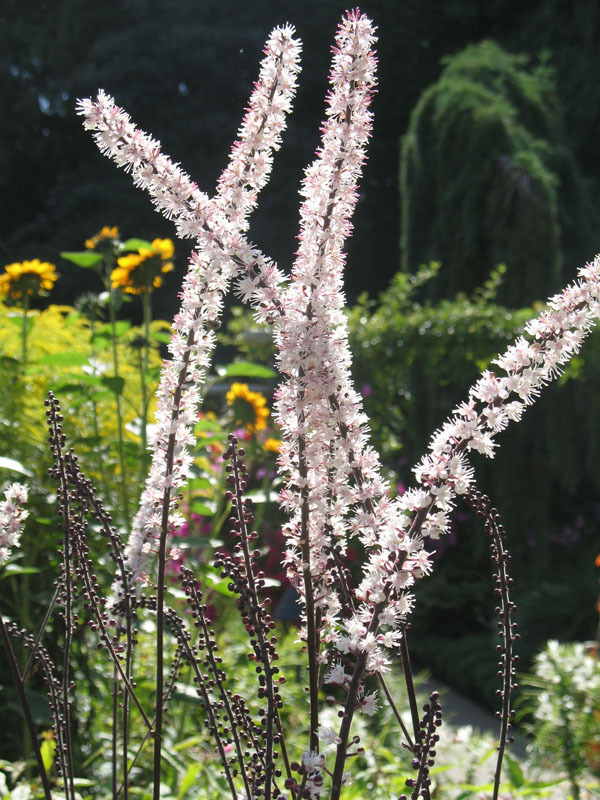 Comments: Formerly Cimicifuga racemosa that produces many small, fragrant, white flowers in late summer and early fall. Has deep green, deeply cut foliage that will scoarch when there is moisture stress. This species is slow to become establish when planted.